Eric guides our day-to-day manufacturing and material distribution, leading a team of 73 and mentoring managers for six divisions, including the Distribution, Truss & Wall Panels and Custom Metal Roofing operations. 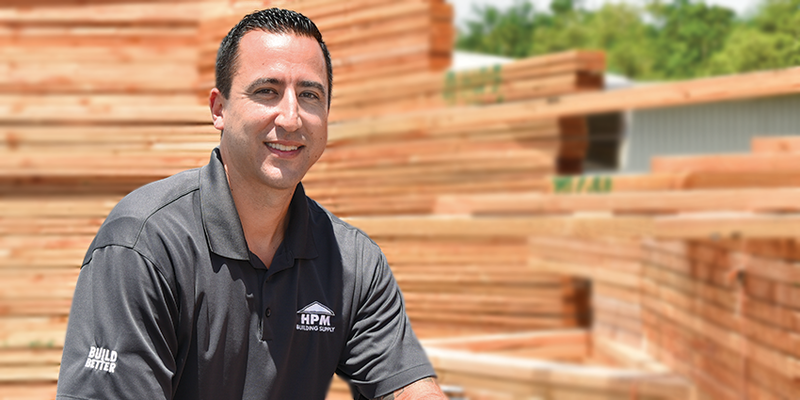 He collaborates with fellow HPM owners to move forward with product and service innovations and to help you get what you need for each unique job. “I really enjoy digging and improving processes and working to enhance efficiencies,” he says. Eric is committed to maintaining strong relationships with pro builders and his crew. “Without customers, we have no business, and without dedicated and motivated employees, we have no customers,” he says. Caring for others also extends to neighbors in need. Most recently he has been assisting with manufacturing and planning for the HPM Micro-Homes Project, providing shelter for residents displaced by the Kīlauea lava flow.